From economic development to employee retention, Modern Healthcare’s program recognizes outstanding employers, nationally, in the healthcare industry. Our team is made up of a group talented professionals who collaborate daily on how we continue to deliver more based on living our mission of bringing world-class leadership, resources, methodologies and insights to the healthcare industry. MedSys Group, is pleased to announce its recognition by leading industry publication, Modern Healthcare, as one of the 100 Best Places to Work in Healthcare. Now in its 9th year, Modern Healthcare’s award honors workplaces throughout the healthcare industry that empower their employees to provide patients and customers with the best possible care, products and services. MedSys Group, a healthcare IT services firm, was rated by its employees in eight core areas including benefits, pay, role satisfaction, leadership, and culture. The company’s core values of communication, trust, honesty, respect, and commitment help them to carry out their mission of enabling the evolution of healthcare. MedSys Group offers more. More experience, more dedication, more focus, more commitment, more expertise. The Best Places to Work in Healthcare list is published in non-rank, alphabetical order and can be found here: http://www.modernhealthcare.com. Specific rankings will be announced LIVE at the awards gala in New Orleans during Modern Healthcare's annual “Workplace of the Future” conference. 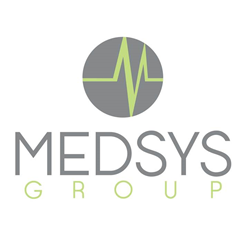 Founded in 2008, MedSys Group® LLC, is a healthcare IT services firm, delivering outstanding services and results to academic medical centers, integrated delivery networks, specialty hospitals, and physician practices. MedSys provides expert leadership in Cerner, Epic and other acute/ambulatory, EHR and revenue cycle systems. MedSys is frequently featured in A-list publications and was named for two consecutive years on the Dallas 100 list of fastest growing companies in North Texas. MedSys is the recipient of Modern Healthcare’s Best Places to Work in Healthcare and the Inc. 5000 awards. For more information, please visit: http://www.MedSysGroup.com or call 972-464-0020. You can also follow the company on Twitter @MedSysGroup. For interviews or media inquiries, please contact Gretchen Hydo, Director of Public Relations, at GretchenH@Chatterboxink.com.